Get ready to fix some animal boo-boos with the Doc McStuffins Pet Vet Child Costume, perfect for your aspiring little doctor to be! 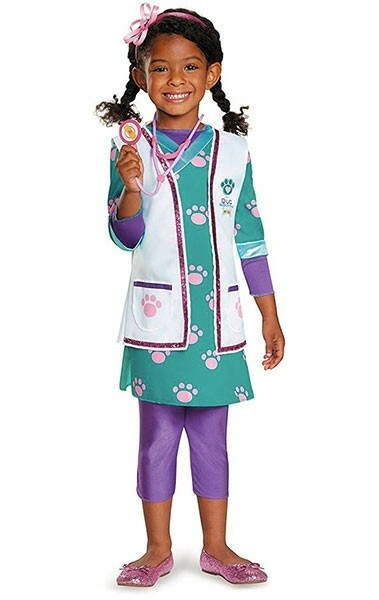 This officially licensed costume set, which is inspired by the recent season of Doc McStuffins, includes a paw print dress, a white vest, purple leggings, and a toy stethoscope. For more products featuring this beloved character, visit our Doc McStuffins Collection.